Oralis SB is concentrated at 1.25×109 CFU. It is possible to combine Oralis SB with a selection of ingredients (e.g. Calcium, Vitamin D, Vitamin C) with proven compatibility with our probiotic strains to consolidate the oral health positioning with health claims (according to local regulations). 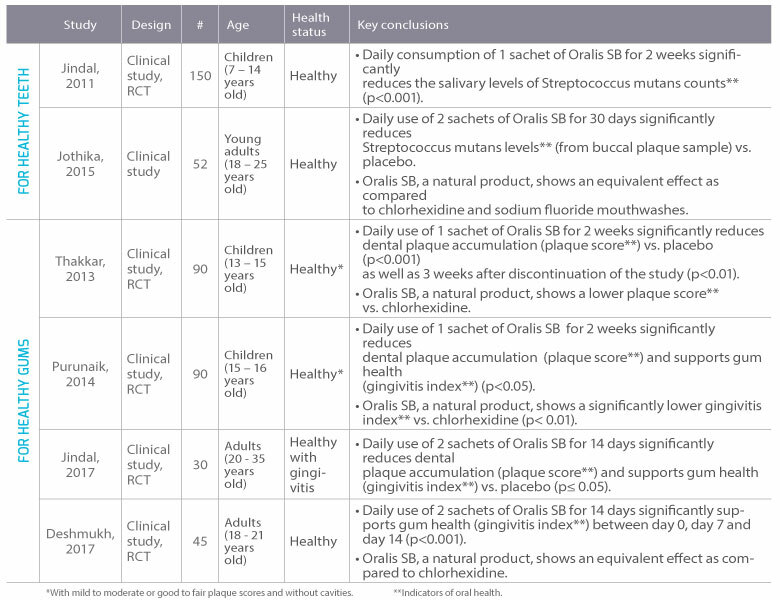 Oralis SB is supported by 6 human clinical studies performed in both children and adults for healthy teeth and gums. In vitro studies of its modes of action are also available on single strains as well as on the Oralis SB combination.